Is there a better alternative to Recipe Box? Is Recipe Box really the best app in Cooking category? Will Recipe Box work good on macOS 10.13.4? Recipe Box is the easiest to use, most practical electronic recipe book application on the market. It maintains not only a database of your favorite recipes that can be displayed or printed scaled for any number of servings, but also of the ingredients, units of measure, and preparations methods used to ensure minimal typing and maximum consistency. 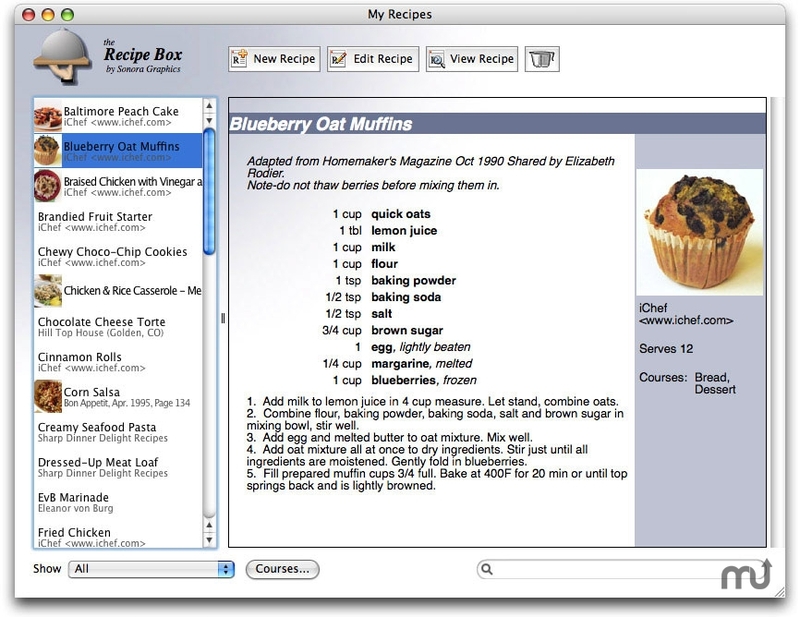 Recipe Box 1.3 for Mac OS 9.1 users. Recipe Box needs a rating. Be the first to rate this app and get the discussion started! Store preparation time, number of servings, source, notes and more! Easily share recipes with friends who use Recipe Box!